His moments of the year, top albums and artists, as well as tip-offs for 2019…. This has been a pretty big year for UK jazz, and one of its pivotal figures is Moses Boyd, who’s had an equally momentous 12 months. 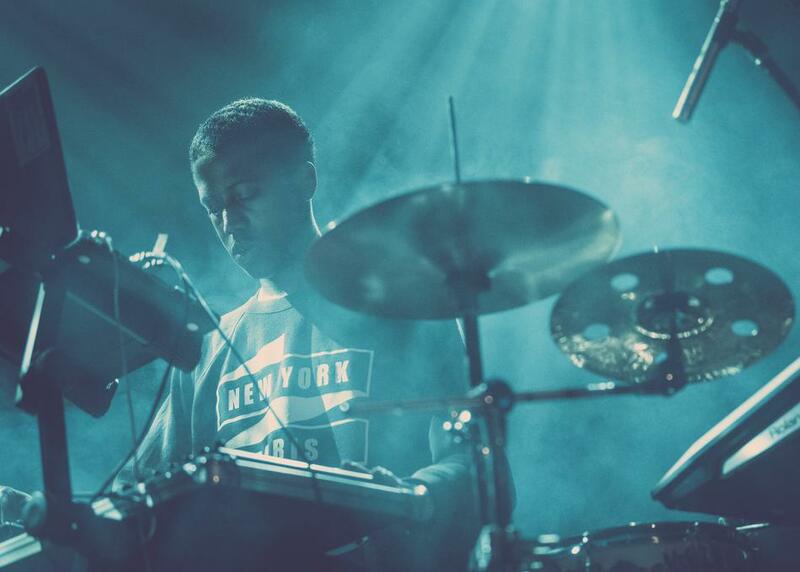 The South London percussionist - making jazz through a contemporary lens, coming at his work via grime, UKG and Afrobeat - has been busy to say the least. He released ‘Displaced Diaspora’, a full length project under his own name that has been nominated for Jazz Album Of The Year at the 2019 Worldwide Awards, featured on the seminal ‘We Out Here’ UK jazz compilation from Brownswood, contributed to the Mercury Prize-shortlisted Sons of Kemet LP ‘Your Queen Is a Reptile’ and played SXSW, as well as landing a Radio 1Xtra residency. Just last month he collaborated with DJ Lag on the first music video from Lag’s 2018 ‘Stampit’ EP, which demonstrated Boyd’s skill and versatility but also the multiple genres he draws from: the high energy ‘Drumming’ has Gqom coursing through its veins – a broken-down, stripped-back South African house genre, taking its name from the Zulu word for meaning “hit” or “drum”. Can you sum up your 2018 in three words? What was your own highlight of the year and why? I’d say doing a drum workshop with uncle Tony Allen [Nigerian Afrobeat pioneer and drummer for Fela Kuti and The Good, The Bad And The Queen] is still my highlight. I’ve spent years listening to his drum patterns, so to have him sat opposite me, breaking it all down was incredible. Records are one thing but seeing it first hand was unique. He’s a great guy, I see him fairly regularly on the road – and I always try and catch him in London if he's playing. How did it feel to get the Radio 1Xtra residency? It felt surreal to be honest. It’s something I didn't really plan or have in my sights to pursue, but I see it as an amazing opportunity not just for me but for a whole spectrum of music and artists that may not get the look they deserve. It’s given me the chance to really highlight musicality and present it in a unique way to the masses. What were the biggest moments in UK music in 2018? I think Field Day festival this year was an incredible sign of how far the jazz scene has crossed over to so many different types of music lovers. But I think generally across all genres the UK has been really present on the festival and touring scene – it’s great to see us in a space that’s been so heavily dominated by the USA for a long time, and hold our own. Who were your top three UK artists of the year? Nao, because she consistently delivers some of the best music out there. Her album ‘Saturn’ is something I've been listening to a lot - the production, songwriting and musicianship is amazing. Ghetts, because the consistency of his vision is so strong. His last album was incredible, and his live shows are amazing. You can see he's a man that puts the music first. Ezra Collective - selling out KOKO months ahead, getting a playlist on BBC 1Xtra, a track with Jorja Smith...we just have to put some respect on them brothers. And top three UK albums? Mansur Brown’s ‘Shiroi’, Tirzah’s ‘Devotion’, and Sarathy Korwar – ‘My East is Your West’. We’ve heard you’ll be dropping a new album in 2019. Amazing! Can you tell us about it? It’s a lot more relevant to where I am now sonically, and artistically. I feel I've best achieved one of my goals of fusing improvised acoustic music and electronics. I've also been more focused on writing songs - in the sense of trying to achieve the same satisfaction I get when I hear a Motown production. Whether there’s improv or not, and how does the song feel as a whole – I’ve been really into exploring that with this release. I’m looking forward to making more sounds with more people. I feel I've achieved more than I set out to do already and I’m grateful, but for me now it’s about looking above and below, reaching out to artists to make things happen where I feel I can be of help. I’m hearing so much good stuff from all the younger musicians I’m around, so I’m excited to see where they’re gonna go and what shockwaves they’re sending out to the world, as well as older artist - we often put the youth first and don't celebrate or support our elders enough too. I’m trying to help bridge some intergenerational gaps with a few projects I’m working on. Ultimately, I’m trying to connect more good people together so that art and culture continues to flourish. And what should Moses Boyd fans be looking forward to in 2019? Whatever I do I put my all into it – there are all sorts of good things coming. things I’m really happy about. So as long as people are open to what I’m trying to do, they can look forward to some interesting sounds.